After successful registration on the official website of the National Board of Education (NBE) – www.nbe.edu.in ; Candidates looking for admission in MD/MS or PG Diploma Courses can appear in the NEET PG 2018 entrance examination on January 7, 2018. Top colleges and universities of the country give admission in PG Medical courses on the basis of NEET PG score. This year, the marking scheme has been announced by the authority under which every correct answer carries 4 marks, while for negative response 1 mark will be deducted. As NEET PG 2018 will be conducted in a single session, no equating method will be used for calculation of result. NEET PG cutoff will be used to shortlist the eligible aspirants for admission to postgraduate medical courses. General category candidates must secure 50 percentile to qualify the exam. Based on the cutoff of NEET PG 2018, the authority will publish the merit list for admission to 50% All India Quota seats. Moreover, state authorities will also use NEET PG 2018 cutoff for preparing state merit list for allotment of seats in medical government and private colleges. The cutoff will be released along with NEET PG 2018 result on or before January 31, 2018. Aspirants who will secure cutoff scores for All India Quota seats will be called for NEET PG counseling 2018 process for admission to around 6200 MD/MS seats. For remaining 50% state quota seats, the designated state admission committee will conduct the counseling session. 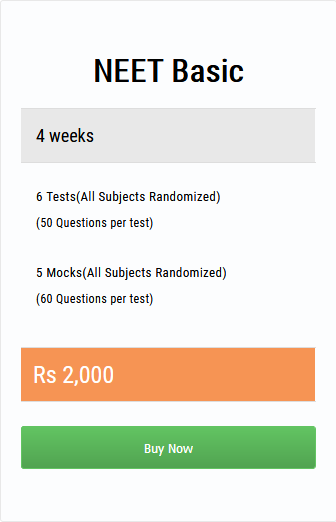 Exam Mode: The exam will be conducted electronically as a Computer Based Test (CBT). Language: The question paper will be in the English language. Duration: Duration of the exam will be 3-1/2 hours. Session: The examination will be organized on a single day in one session, i.e. all candidates will be taking the same question paper. There will not be any equating or scaling of the marks obtained by the candidate. Negative Marking: The negative marking will be done in this examination. There will be 25% (1 mark) negative marking for incorrect answers.